Arm yourself against my dawn, which may at any moment cast you and Harry into obscurity, Alice James writes her brother William in 1891. In Judith Hooper's magnificent novel, zingers such as this fly back and forth between the endlessly articulate and letter-writing Jameses, all of whom are geniuses at gossiping. 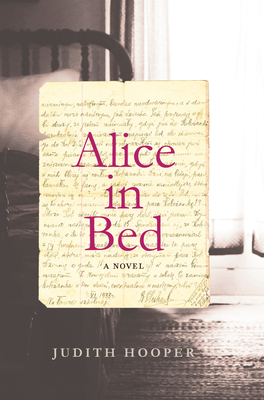 And the James family did, in fact, know everyone intellectually important on both sides of the Atlantic, but by the time we meet her in 1889, Alice has been sidelined and is lying in bed in Leamington, England, after taking London by storm. We don't know what's wrong with Alice. No one does, though her brothers have inventive theories, and the best of medical science offers no help. So, with Alice in bed, we travel to London and Paris, where the James children spent part of their unusual childhood. We sit with her around the James family's dinner table, as she - the youngest and the only girl - listens to the intellectual elite of Boston, missing nothing. The book is accompanied by Hooper's Afterword,"What was Wrong with Alice?," an analysis of the varied psychological ills of the James family and Alice's own medical history. Judith Hooper was an editor at Esquire Magazine, and is the author of Of Moths and Men and co-author of The Three-Pound Universe. She lives in western Massachusetts.